Air Mandalay Limited (Yangon) and Boeing (Chicago and Seattle) have signed a memorandum of collaboration in support of working together toward Air Mandalay’s fleet renewal efforts. H.E. U Nyan Htun Aung, Minister of Transport of Myanmar and the U.S. Ambassador to the Republic of the Union of Myanmar, Derek J. Mitchell witnessed the signing. Boeing will assist Air Mandalay with its efforts to procure Next-Generation 737 airplanes through leasing channels in support of Air Mandalay’s expansion plan. Air Mandalay Limited is a private joint venture company that was incorporated on October 6, 1994 to operate as Myanmar’s first privately owned airline and support the country’s tourism industry. 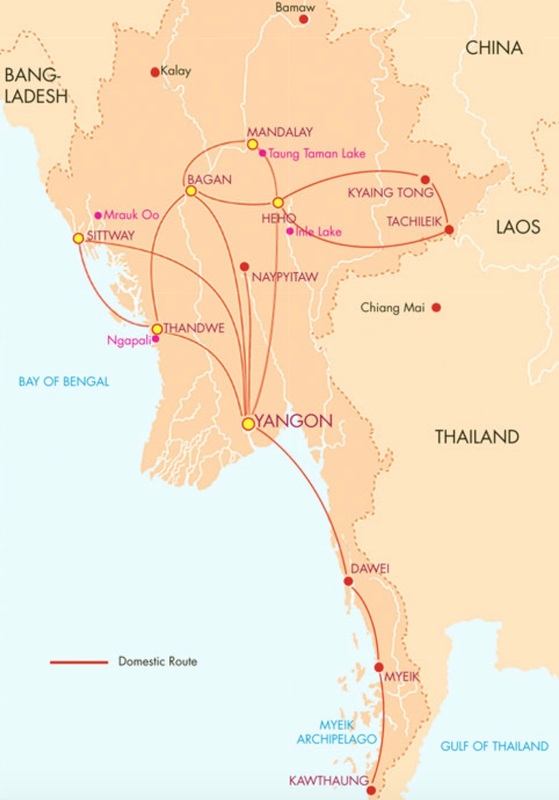 The airline, based in Yangon, has since established itself as a carrier of high standards with a wide domestic network and one regional link to Chiang Mai in northern Thailand. It operates to all of Myanmar’s main tourist destinations and commercial hubs. The airline also offers air charter services to destinations both within the country and regionally. 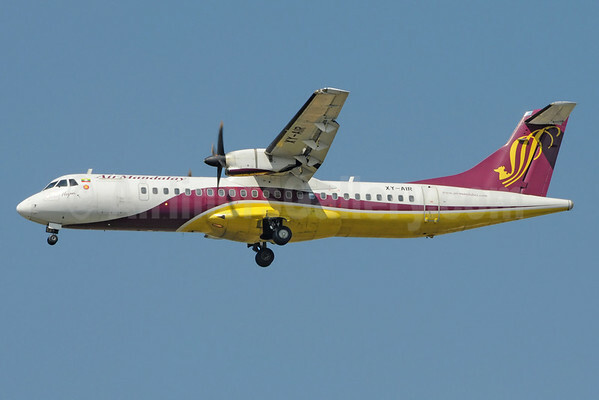 Air Mandalay currently operates ATR 42 and ATR 72 aircraft. Copyright Photo: Richard Vandervord/AirlinersGallery.com. Air Mandalay ATR 72-212 XY-AIR (msn 467) arrives at the Yangon hub. Video: Flying on the ATR 72. Air Mandalay’s ATR 72-212 XY-AIR is taped operating into Heho Airport and landing on runway 18 from Mandalay International Airport as flight 6T 402 bound for Yangon. Situated at the edge of the mountainous Shan state at an elevation of 3,888 feet, the airport is the gateway to the picturesque Inle Lake. Videoed from Seat 5D. This entry was posted in Air Mandalay and tagged 467, 737, 737NG, Air Mandalay, ATR, ATR 72, ATR 72-200, ATR 72-212, Boeing, Boeing 737, Next-Generation 737, RGN, XY-AIR, Yangon on November 10, 2014 by Bruce Drum. Federal Aviation Administration (FAA) (Washington) has ordered inspections of over 1,000 U.S.-registered Boeing 737 jets to inspect a potentially faulty part in the tail, which may cause a loss of control of the aircraft if the part fails according to this report by Reuters. The AD applies to all 737-600, 737-700, 737-800, 737-900, and 737-900ER aircraft. This entry was posted in FAA and tagged 737, 737NG, Boeing, Boeing 737, FAA on April 16, 2013 by Bruce Drum.